Key Lime Pie is one of the decadent treats my husband loves and can’t resist when he sees it on a menu. I think it reminds him of sea & sand filled vacations, and all the great associated memories. Despite his adoration for this dessert, I can’t remember the last time I made it for him. 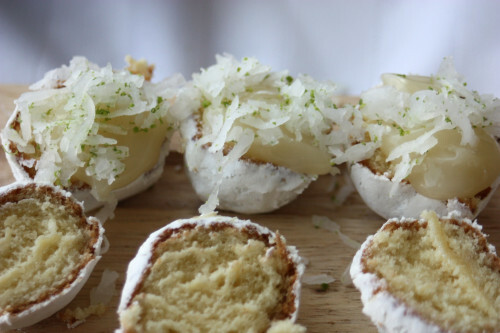 So as a special treat I made him Key Lime Bites, for a small dose of citrus-infused sugary goodness. I started with a package of powdered sugar donut holes and cut them in half. 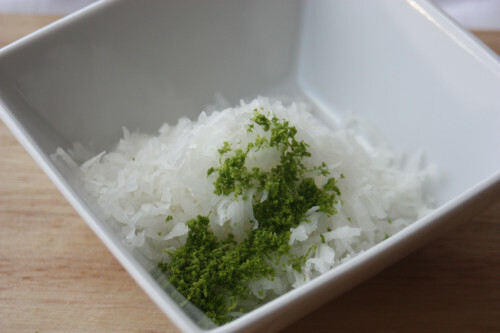 Then, I mixed together some sweetened coconut and lime zest. Next, I channeled my inner Sandra Lee and her semi-homemade skills and dug into a jar of key lime pie filling . . . . putting a bit on the cut side of half of the donut holes. I recommend having something like a cutting board with a ridge to hold the holes in place before the next step, otherwise they can get a bit top-heavy. 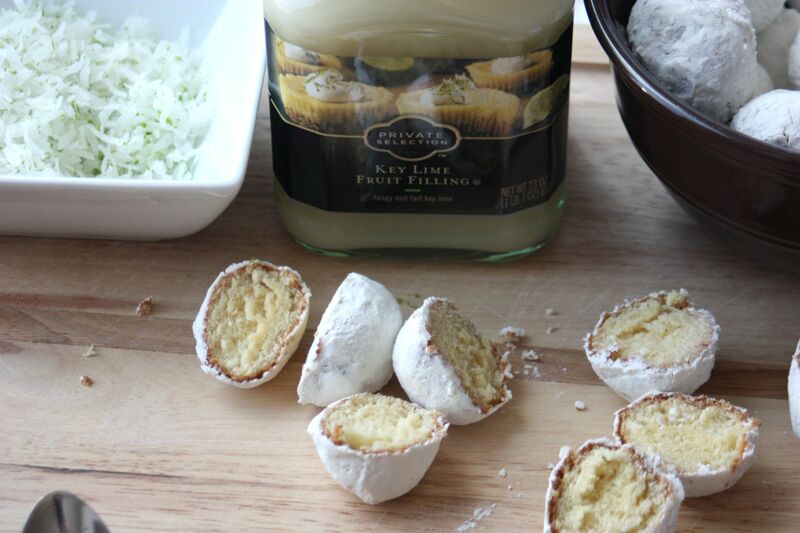 Finally the key lime pie filling gets topped with some of the coconut, and the other half of the donut hole is placed on top to finish off the bite. 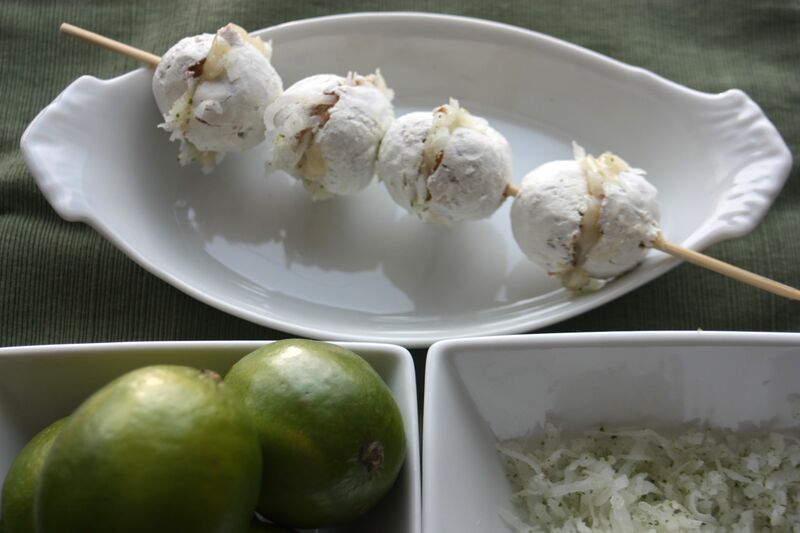 To keep them from rolling around, I like to thread them on a kabob skewer, which also makes for easy serving. 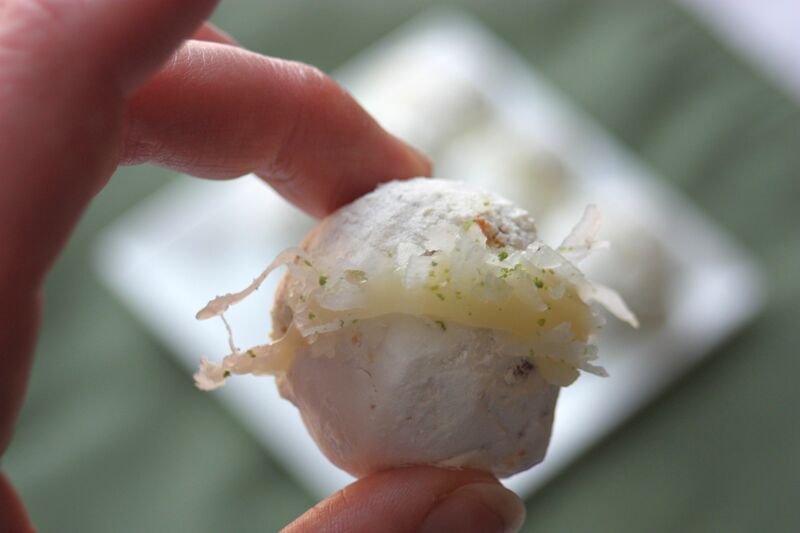 The quick and easy bites were a hit, and may have been eaten for breakfast as well as dessert. Mix together the shredded coconut and lime zest, set aside. Cut donut holes in half. 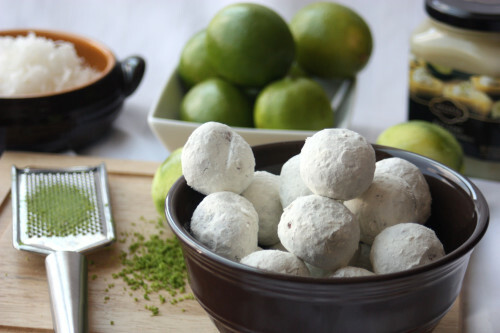 place ½ teaspoon key lime filling onto one cut end, add some coconut and then sandwich with the remaining donut hole half. Set down on a ride in a cutting board or skewer with a kabob skewer. Refrigerate until ready to serve. 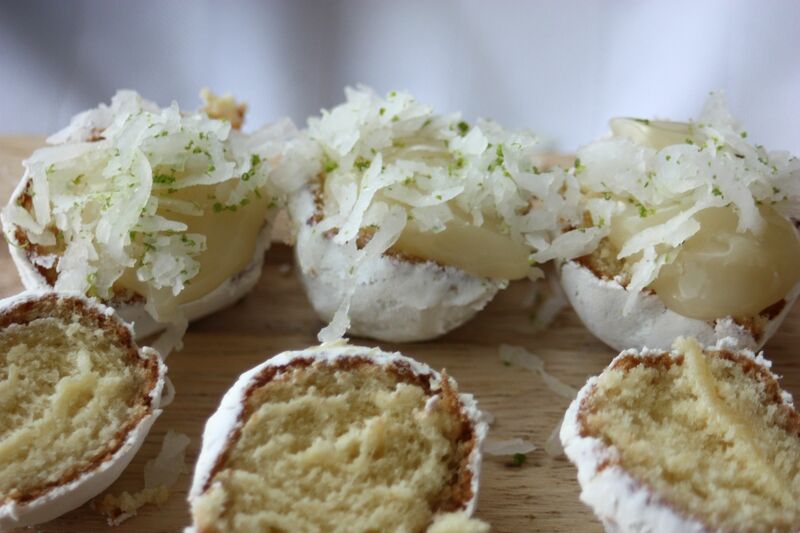 This entry was posted in Breakfast, Dessert and tagged coconut, donuts, key lime.